Bolanle Olukanni is a TV Presenter. 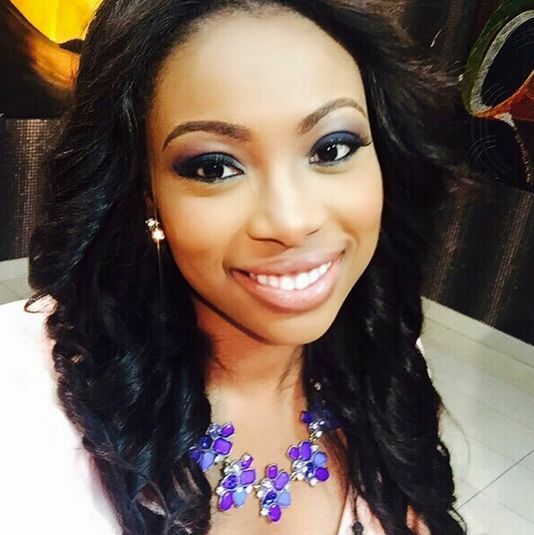 She is best known for hosting “Moments with Mo” on DStv and Project Fame West Africa. In 2015, she co-founded Sage & Walls, a multimedia production company and began producing and hosting “On the Carpet with Bolinto” which covers celebity African events. She also wrote, directed and produced her first documentary titled ‘Gods Wives’. In 2016, she was awarded the On-Air Personality of the Year (visual) from one of Africa’s most prestigious awards – “The Future Award.” Born on 19 August, in Lagos, Nigeria, Bolanle was raised in Nigeria, America, Israel and Kenya. She did her schooling from St. Saviours Primary school, Rosslyn Academy, Queens College, and Wichita Southeast High School. In 2007, she graduated from Loyola University Chicago, with Honours in a double degree of BA Communications and BA International Studies. She began her hosting career with Moment with Mo, now called ‘Moments.’ She’s married and lost her husband when she was 29 due to liver problems. She was unable to remarry because of cultural expectations. She had four children. Spouse/Husband: She lost her husband when she was 29 due to liver problems. Children: She had four children. *She was born on 19 August, in Lagos, Nigeria, and grew up in Nigeria, Israel, America and Kenya. *Her father worked for the Ministry of Foreign Affairs. *She was raised in four different countries: Nigeria, America, Kenya and Israel. *She won the Loyola University Chicago Kale Williams Award for Exceptional Work in Promoting Human Rights and Social Justice in May 2010. *She co-hosts the hit reality music show ‘MTN Project Fame West Africa’ alongside Nollywood actor, Joseph Benjamin. *She is a partner of the Self-Worth organization- an NGO that provides empowerment classes and supplies assistance to widows and single mothers in Nigeria. *She is good friends with Zainab Balogun and Lamide Akintobi. *She enjoys reading a good novel, writing poetry and watching The “Walking Dead” in her spare time.